The Stark House in the Game of Thrones have been wardens of the North of many years, more than 300 years to be more exact. 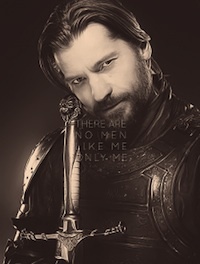 After Nedd Stark was framed by Cesei Lannister to the killing of King Robert Baratheon he was imprisoned by King Joffery. Robb Stark called his banners and marched south with the Stark army to free Lord Eddard Stark but Lord Eddard was killed by King Joffery with Sansa Stark watching close by. Robb Stark fights in a lot of wars and the Stark army is a very integral part of the show. We see the army marching into the fights. The Stark’s do have the best looking army. 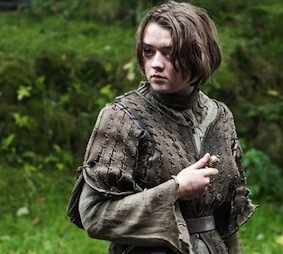 Click here to find more Game of Thrones costumes. 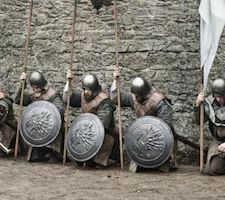 Find Stark Infantry costume ideas below. 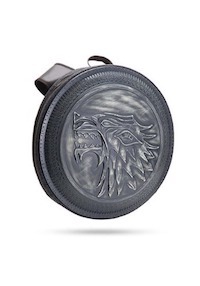 This is a Game of Thrones Stark army shield backpack. Great look to add to your costume. 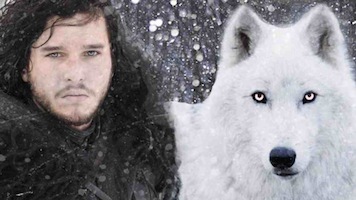 The Stark sigil is the direwolf. Fly the Stark banner high and proud. 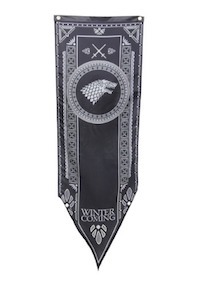 Click here to get Game of Thrones Stark Banner. You need to protect your head when you go into battle. 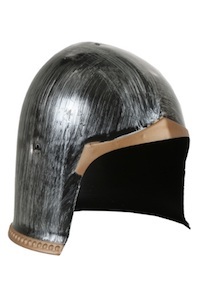 Be prepared to look great when you walk in with this helmet on. 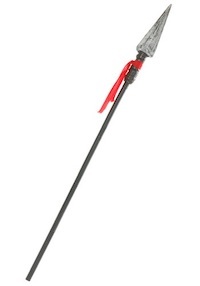 The Stark army uses spears, remember to get this spear to complete your costume to look like the Stark army. Click here to get the Game of Thrones Stark Infantry Weapon. 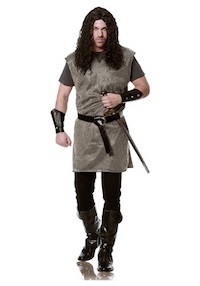 Be prepared for battle in this battle tunic. Click here to get Game of Thrones Stark Infantry Authentic Shield. 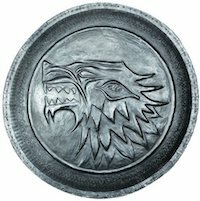 The battle-tested shield of the House of Stark! 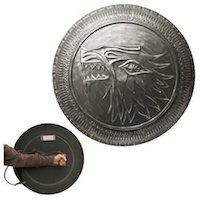 Produced from the actual prop seen in the Game of Thrones television series on HBO, this high-quality Game of Thrones Stark Direwolf Shield Pin measures approximately 2-inches in diameter. Featuring the Direwolf head symbol of House Stark, this awesome pin is the perfect accompaniment to the Game of Thrones Hand of the King Pin. Click here to get Game of Thrones Stark Infantry Pin.